Blower included and requires 16 amp electrical supply. This unit has an open top. 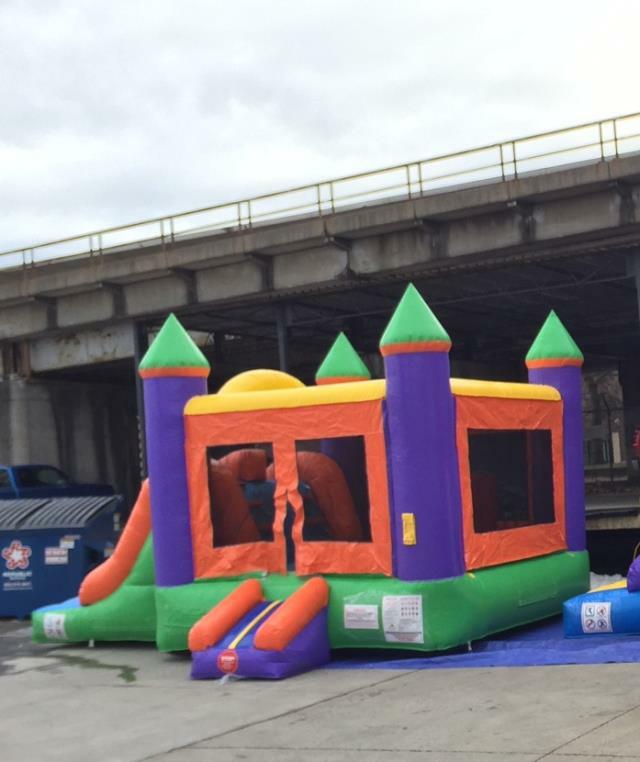 Seated Height of Slide 5'8"
* Please call us for any questions on our moonwalk rainbow combo w/slide 20x15x13 foot rentals in Ft. Wayne IN, Warsaw, Syracuse, Auburn, South Bend, Indianapolis IN.